Examples of the original and manipulated musical excerpt. This original version contained an unexpected chord as arranged by the composer (see middle panel in the lower right). 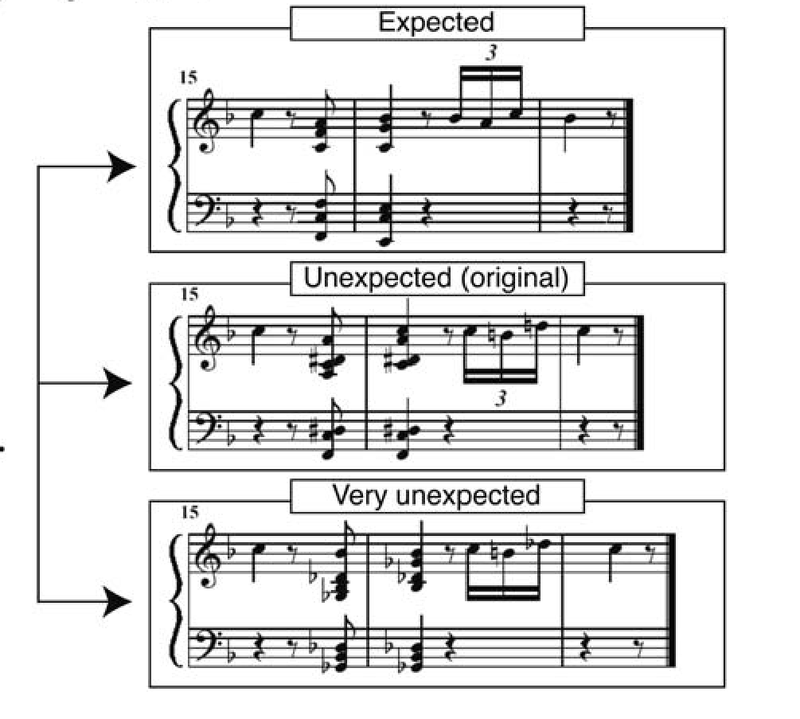 The unexpected (original) chord was modified so that the unexpected chord became an expected, or a very unexpected chord. This example is taken from the Beethoven Piano Sonata F major Op 10 Nr 2.